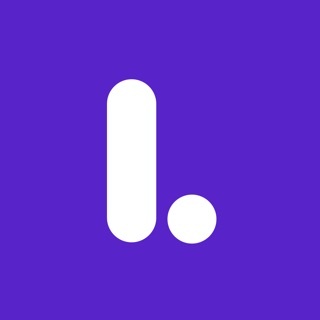 •	Get 150 cashback that you can use either towards subscription and/or pay as you go to grab deals. •	Panic button - for safety reasons. You can list between 1- 5 emergency mobile numbers that will get a text message if god forbid you do use the panic button. 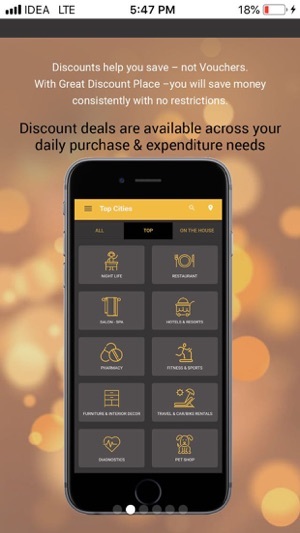 •	Grab the deal - get the text message from Great Discount Place - Show the text message to the Merchant - get the applicable discount on the final bill. •	One deal - against one bill. Doesn't matter how big the bill size is or how many people are using that deal. •	Approx 300% ROI for grabbing and using the discount on any deal. 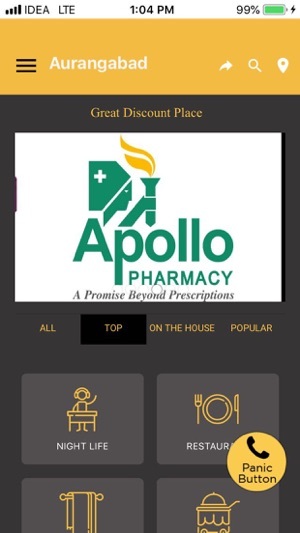 •	No limit or restrictions for each listed deal on Great Discount Place. 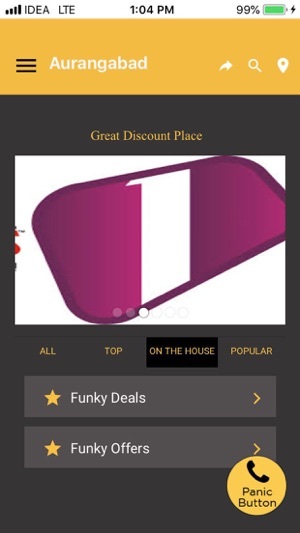 •	On The House - allows you to have access to Free, Wow and 1+1 deals. 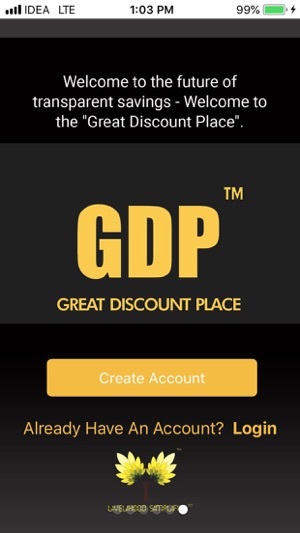 •	Merchant Introduction program - You can introduce or list any merchant you wish (we will give them 1000 cashback) they need to download the Great Discount Place Business app, list and register themselves. Remember that we do not charge a commission or revenue share with the merchant. 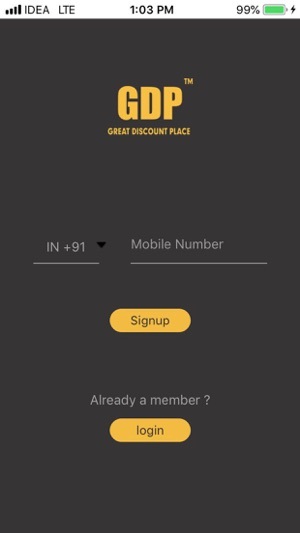 Make sure they put your mobile number (used to register on Great Discount Place) during the registration process. •	Check out "Education alliance program" & "corporate alliance program" on the app. •	Pune, Goa, Mahableshwar, Panchgani, lonavla are covered comprehensively and pockets of Pan India are covered by the pan India retailers. More cities in the pipeline. 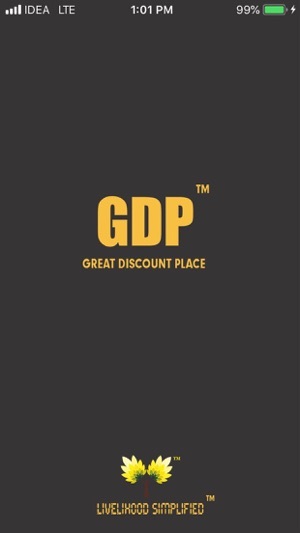 Welcome to the future of unlimited discounts and transparent savings - Welcome to the "Great Discount Place".